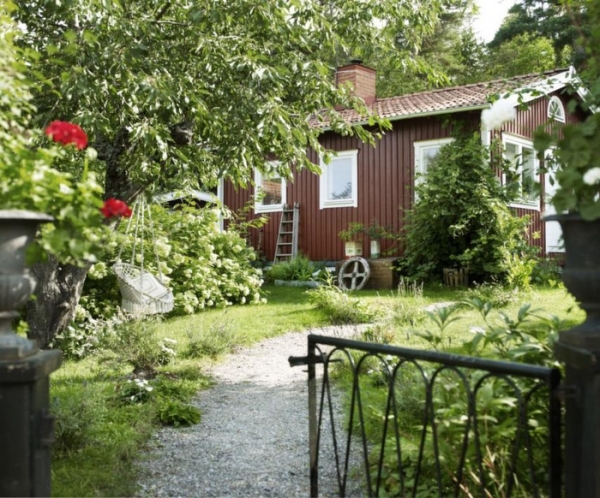 This small villa is a summer home, located forty minutes outside of Stockholm, Sweden. The chocolate brown exterior and the lush greenery are absolutely stunning. The gravel walkway, the iron fence, and the lovely white chair set the scene for this wonderful summer home. The living room in this small villa has gorgeous white paneling, white wood beams, large windows, and natural hardwoods. The neutral colors and fur accents are phenomenal, adding a serene but luxurious quality to the design. We love the plush and homey feel of this room. Natural light shines in on the home, adding an airy feel, and bathing the plants in sunlight. The silver ceiling light adds a little bit of modern glamor, and luscious pillows create a significant amount of comfort. 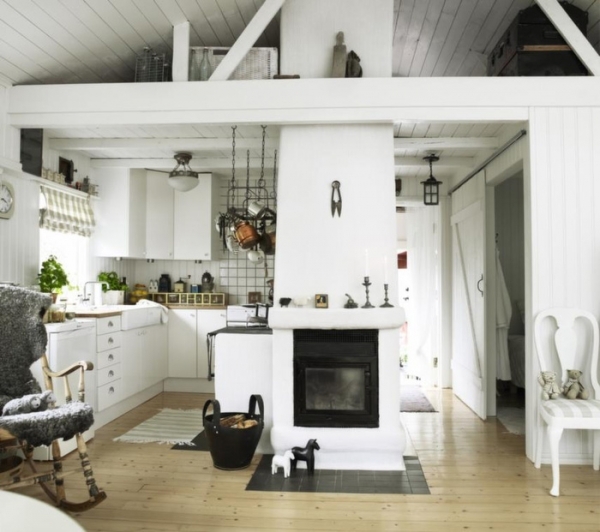 The fireplace in this small villa is absolutely gorgeous, and we love its placement in the kitchen. In the kitchen, there are white cabinets, wood beams, and delightful vintage lighting. The continued hardwoods, stunning tile, and homey accents, contribute to the warmth of this inviting space. The bedroom has shabby chic furniture and a country feel. The wood paneling and the blue accents are absolutely fantastic. 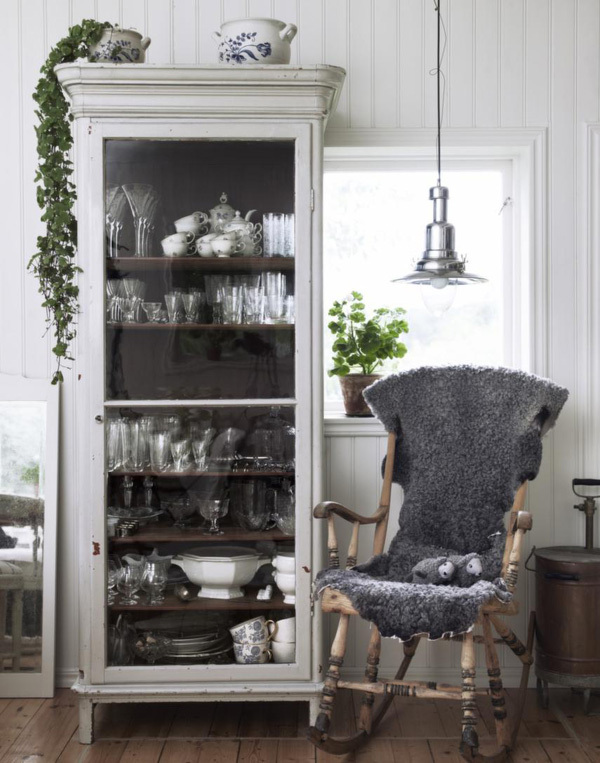 The china cabinet is positively gorgeous with its white and brown wood. A wonderful plant drapes down the side of it, and another magnificent plant sits in the window. We love the rocking chair with the dark gray throw, adding even more coziness to this wonderful space. The outdoor dining area in this small villa is dreamy. 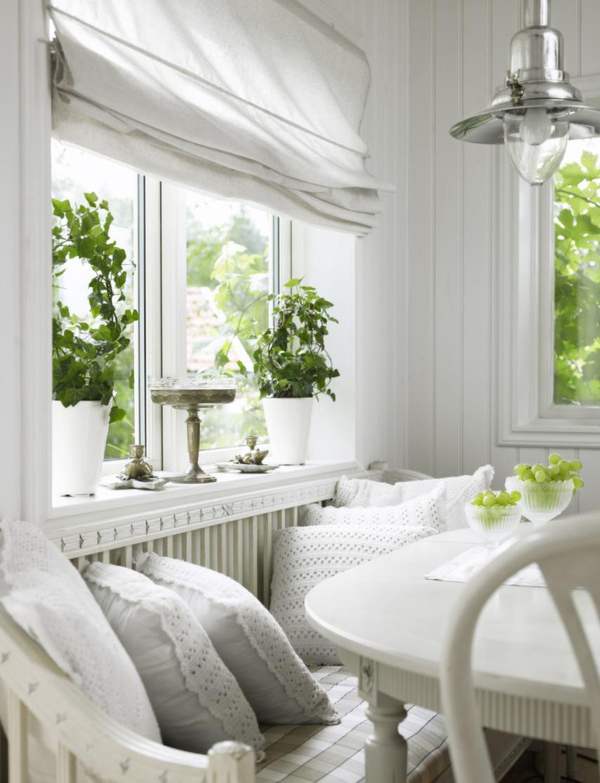 Lively greens and peaceful whites, come together to create an alluring and enchanting eating area. 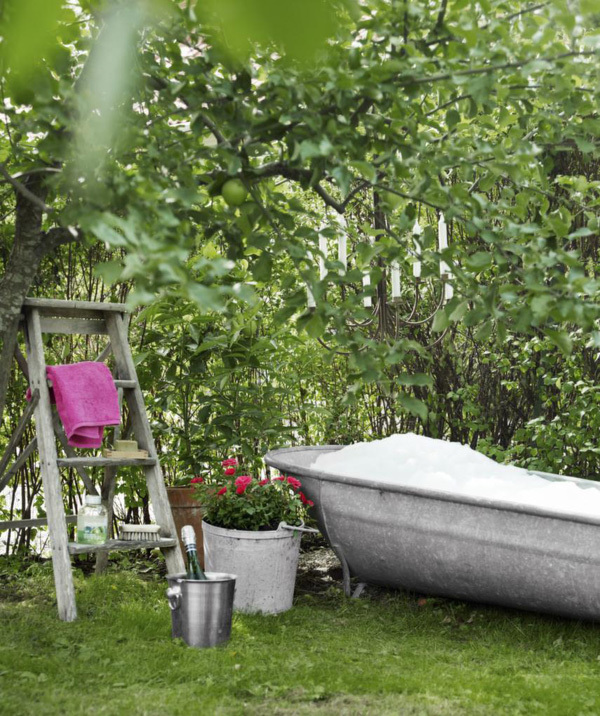 This astounding outside bathtub is sheltered by beautiful nature. 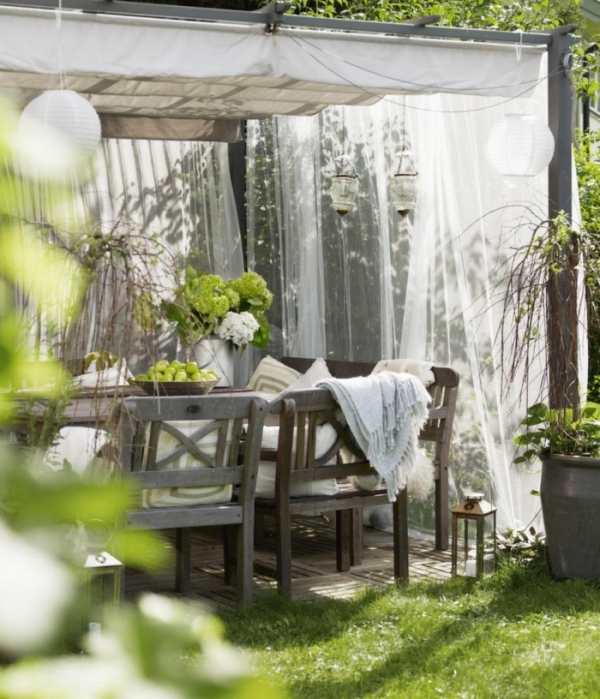 It is the perfect “relax with a glass of bubbly” spot. We adore this idea. It brings even more comfort and luxury to this summer residence.